I’ve been discovering many new herbs and wild foods lately. Out foraging for what we can, I ID new things when possible, or go searching for things I’m already familiar with. It has been kinda fun, and we’ve discovered some real treasures. Brigham Tea is ok. It needs sugar, but does not taste bad if prepared at very high temp (I pressure it). I went looking for that on purpose. That got me looking at bushes on the side of the road, the majority of which are rabbit brush and sagebrush, in varying tones of gray and gray green. Then coming home one day I saw a green bush on the side of a back road. NOT sagebrush. Real green. So we came back later to get a better look. A 2-3 ft bush, with leaf clusters running up each branch, that were beginning to sprout out. Each leaf cluster looked like a little fern plant – six or eight little fern like leaves in this perfect little arrangement. I broke off a piece to take home and ID it. Once in the car, I noticed the leaves had a kind of nice perfumy smell. Well, on the surface. Very pleasant on first whiff. Running underneath that though, a distinctly yucky smell. Not something I can describe easily, but sort of heavily oily and with an edge of things rotted, and just barely resinous, and yet mellow at the same time. Odd, really, I’ve never smelled something that had two distinctly different odors about it, but this did. I looked it up, identified it positively as Fernbush. I mean, how many bushes out there have such a distinctive leaf arrangement, growing in that particular habitat? No doubt about the ID. The descriptions often mentioned that the leaves were “fragrant”. I then researched edibility (struck out), and medicinal use. Turns out it was traditionally used to make a tea for various purposes, recreational, ritual, and medicinal. Ok, I’ll bite. Some of the medicinal uses sounded like ones that might benefit me. I made up a syrup (easier to preserve than tea). That resulted in a HEAVY and nauseating emphasis on the yucky smell. The perfumy part was still there, but overpowered and tainted by the other odor. We tried a little. The taste was inidescribably foul – and yet I have to try. A neutral sweetness from the sugar and a bit of the perfumy at first (like tasting floral perfume), followed by a gagging yuck ending with a hit and run resinous grab at your tonsils, and then nothing. No lingering aftertaste. A small mercy! This isn’t like Yarrow, or Hops, or even Calendula, where the sharp bitterness and awfulness that the bitterness just seems to encapsulate, where it yanks at your throat and stays there. Not that kind of yuck. Not the kind that turns your face inside out. and makes you cough and grab water. This was very different. Like the difference between being wrapped up in unwashed coyote fur, compared to being sprayed by a skunk (the fernbush being the coyote fur, the skunk being Yarrow or Hops). This particular awfulness was more something that made you want to regurgitate your tongue. I did not know this particular force of yuck could exist! I tried it with some vanilla added. And a little butter rum flavoring. Because they seemed like they would possibly dampen the yucky. They enhanced the perfumy side, but didn’t even DENT the icky part. Sort of like putting rotted cod liver oil on top of buttercream frosting, and being able to totally taste both flavors. Still hoping to use it as a medicinal, I tried it mixed with a few other medicinal syrups. Oddly, when you try to make a good tasting substance out of that bush, you fail. Nothing you add to it seems to overpower the ickyness. But even more oddly, when I mixed it with about three other syrups (none of them any too pleasant, actually, they are all just tolerable to get down), the resulting blend was like most medicinal tea – not pleasant, but not horridly nasty either. Somehow, blending that yucky syrup with several other less than enjoyable flavors, resulted in something that was somewhere in the middle where medicinal experiences go! I think that it bears experimenting with a little more, I will try the blossoms and see if they produce something more pleasant, and less unpleasant. For now, I can get the mixes down, and should know in a week or so, whether it is helping with the issues I am taking it for. When I heard that it was sometimes used as a recreational tea, not just a medicinal tea, I somehow thought it would taste better, because I cannot honestly imagine that anyone would want to drink the stuff for fun, unless their noses don’t pick up on that second overpowering awfulness to the same extent that mine does. But Kevin smells it the same way I do, so it can’t just be me! The cool thing is though, ANYONE can identify this bush, if they see it, wild, or in gardens. Whether or not they want to take a chance on the medicinal tea though, depends on how much they need it! Everyone has an opinion about whether the US should “rescue” refugees or not, and the opinions seem to center on two basic topics – compassion, and safety. The issues here are lengthy, and often distracting. Mostly distracting. Because the things you have been lead to focus on, are not the issues at all. A few loud voices have controlled the dialog, and carefully circumvented the facts. I’ll try to break this down into some coherent sub-topics. If the government resettles refugees, that is not compassion. That is socialism. That is theft of American money, from American taxpayers, given to foreign entities. There is nothing compassionate about it. Compassion is an individual thing. You feel it, sufficient to act upon it, GIVING OF YOURSELF (not taking from someone else, or ordering someone else to do it). If you do not decide to GIVE… PERSONALLY… YOU DON’T HAVE COMPASSION. You are only pretending. So let’s stop the pretense that those who want the government to fix the problem, somehow have more compassion than those who want to stop the government from acting beyond the scope of immigration law. Our nation is broke. Maybe you don’t realize this, but when you are so far in debt that you will never have the resources to get out of debt, you are broke! When your income exceeds your expenses year after year, and there is NO EFFORT to restrain or economize, YOU ARE NOT JUST BROKE, YOU ARE STUPID. For our government to discuss SPENDING money to take on the upkeep of refugees here, is not only contrary to our law, it is unbelievably irresponsible, and CRUEL to the very people to whom this government owes its first allegiance – that is WE, THE PEOPLE… NO, that does not mean people from around the globe. No, that does not mean citizens of another nation. It means AMERICAN CITIZENS. We pay the tab. We come first. It is the duty of the government to see to the needs of its own house before aiding another (that is Biblical, for those Christians who want doctrine – it is just plain fair logic for those who don’t care about that). If you are living in a house with a mortgage payment that is 3 months past due, and your bank is about to foreclose on you, then taking out a mortgage on another home so that you can fill it with refugees is REALLY DUMB. You don’t offer to pay for someone else to have a home while you and your own children are crying in the cold because you don’t have sufficient to pay for your own home. You see to the needs of your OWN FAMILY FIRST. Then you render aid wherever else you HAVE THE MEANS to do so, whether it be a dollar or five, or a hundred. OUR GOVERNMENT is under the same obligation. This year, there will be no Cost of Living Adjustment for Seniors on Social Security. People who paid into a system, and to whom the government made promises. A system that would be self-supporting were it not periodically robbed by that same government to fund things unrelated to Social Security. To make a decision to not increase Social Security because “we don’t have enough money”, and then turn around and offer to pay welfare for refugees is senseless, corrupt, and inexcusable. If we do not have money to take care of those close to home, we certainly don’t have it for those whom we have no allegiance to! US immigration law requires that anyone coming to the US as an immigrant not be a drain on welfare resources for at least 5 years. They must be employable, or they must have a sponsor. Historically, recent immigrants were ineligible for welfare services – only those who had paid taxes IN were eligible to draw on the system. This is only fair and just. Children may not immigrate without a home to go to. Orphans may be adopted, but the family receiving them must be able to show sufficient income to ensure that the adopted child will not draw upon welfare services for a 5 year period. In a refugee situation, the powers of the US government have historically been limited to ONE decision only… That is, how many immigrants will they allow from each country, each year. In a refugee situation, they may increase the number allowed from that country. In all cases, standard background checks are required, refugee or not, and immigrant law is not circumvented. So when the House currently seeks to require background checks on Syrian refugees, they are NOT asking for special treatment for them! They are only asking that CURRENT LAW be observed. If immigration law were enforced, and not set aside, the government would NOT BE INVOLVED in any kind of debate at this time! When an adult immigrant, or a family of immigrants, has a sponsor, the approval processes are generally much faster. This sponsor may guarantee a job for the head of household, or they may certify that they will ensure that the needs of the family are met so that welfare resources are not required. If this provision were utilized at this time, ANYONE who felt like Syrian Refugees SHOULD be brought to the US, would be capable of stepping forward, and volunteering to sponsor a refugee, or refugee family. If you think they ought to be here, then by all means, PERSONALLY welcome a family into your home, your business, or your neighborhood. No government involvement necessary, beyond standard immigration policy. Those who claim “Compassion” for the refugees are free to act upon their conscience, and demonstrate to the rest of the nation, just how it should be done! Syrian refugee children are with families, or a guardian – they don’t get out otherwise. In Muslim countries, women and children are possessions. They are not free to act for themselves. They are not able to travel by themselves without being taken captive, and abused, or punished for being without proper company. Muslim countries do NOT allow their orphaned children to be adopted by infidels. But, supposing a child DID escape. Supposing there are refugee children in camps where parents or guardians have died, who have not been claimed by other Muslims in the camp (even then, this is the exception, not the rule, since the majority of refugees at the outset are adult men, without families). The ONLY way that the US can legally help them is through overseas adoption. This is a lengthy process – mostly for the parents. There are many parents here who ARE prepared with homestudies done, and INS paperwork completed or nearly completed. There have ALWAYS been children around the world in dire straits… and those upon our own shores as well. So people who REALLY have compassion, are already helping, no matter where the children are located (this help may also be rendered through non-profit donations, humanitarian aid organizations, fast offerings, etc, and may be small or great, but is always a personal sacrifice and a personal effort). Parents who are prepared for this KNOW that children raised in a culture where women are degraded, and children are used for immoral purposes, and where children are taught that people who are not of their beliefs are never to be respected, will be VERY DIFFICULT to normalize within an American family situation. Personally, if I had daughters in the home, I would never bring a boy with that background into my home, unless he was under about the age of 3. It would be foolhardy. If I had no children in the home, I would consider a child up to about the age of 7, but would not consider older children unless I felt like I was instructed personally by God to do so. Because some children over the age of 8 have been trained in behaviors that would present a threat to the mother in the home. God bless those who feel called to take in these children and love them in spite of the dangers. If you are NOT ALREADY PREPARING to bring an international child to your home (or directly and PERSONALLY helping someone else do so because you cannot), then SHUT UP about the “poor orphans” whom our government is supposed to rescue. YOU HAVE NO RIGHT! A government CANNOT rescue orphans. FAMILIES have to do that. Put up, or shut up! There is nothing stopping ANYONE who wishes to help the refugees, from helping the refugees. Government involvement IS NOT NEEDED. You may donate money to a charity that is aiding refugees in overseas camps. You may donate money to an organization that facilitates international adoptions. You may donate money to a family that is trying to adopt. You may sponsor a refugee or family yourself. You may prepare to adopt a child. You can do one of any number of other tasks that require your personal attention to offer aid. Just don’t stand around pointing the finger and saying that other people are mean because they don’t want the government to circumvent immigration law, in order to get out of having to act in a way that costs you personally. The government has a legal right to decide how many immigrants to allow in. Unfortunately, so many people are mislead by the misdirection right now, that our government is GOING to decide an issue which there is NO POINT in having them decide, and they will probably throw money where it will be largely wasted, and get us deeper in debt in the process. If THEY would first FOLLOW law, before trying to change it, there would be no need for them to decide anything other than what they already have the process in place to do! It is your right to decide HOW YOU PERSONALLY are going to make a difference. You have plenty of options. But it takes more than words of ridicule pointed at someone who feels that it is NOT the responsibility of the government to be importing refugees. Those words carry no weight, they are hollow, insincere, and recognized for the evasion of integrity that they really are. I could not find it in the wild – spring has eluded me where I was familiar with the wild areas. I’ve had my eye open for it for several years and still no luck. So when I spied it on the website of one of my suppliers, I snatched up a bunch of it along with the other supplies I was ordering. Wild Onions. There is confusion over wild onions and wild garlic. More over wild onions than wild garlic, because wild garlic is pretty easy to identify – looks like tall straight chives, with round stems, smells and tastes like garlic (deep tiny bulbs, so you have to dig it, cannot pull it). That is one of the key identifiers with both wild onion and wild garlic – their leaves are the opposite of the domestic versions. Garlic is round, onions are flat. Wild onion also forms deep bulbs, and should be dug, not pulled, if you find it and positively identify it. Make sure you ID it using several descriptions with images from different sources before you consume it though, because while there are more than a dozen different kinds of edible wild onions, there are also one or two look-alikes that are harmful if you mistake the identity – be aware that there are signs to look for, and once you KNOW what to look for the ID can be made for certain, but make sure you KNOW. Having ordered it, I had no idea what I’d be getting. I received a bunch of oniony looking things, with flat V’d leaves (not tubular like domesticated onions), and with lovely white bell flowers drooping from the tops. Seven of them had good root systems still on them, so I planted them in a container. The eighth had no roots. I chopped it up and fried it in butter with some Hedgehog mushrooms. Chopping it up did not make my eyes water. I think that is worth noting! It had a mild onion flavor, which was very good with the mushrooms. After dinner, I did a net search to ID the specific type. It appears to be Allium Triquetrum, which is a non-native plant in the US. Grows in the south and along the coast, quite far north. It is considered to be an invasive species in California – so if you live there, you might especially wish to learn to identify this weed, and make a habit of digging it up and bringing it home for dinner. If you live elsewhere, various types of wild onion grow almost everywhere, and wild garlic is also widespread. Both are worth looking for – not just because they are wild food, but because they offer slightly different flavors when prepared. Wild onions usually pop up with the early bulbs, right as the ground thaws, and they set flowers 6-8 weeks later. If you see something that looks like it might be wild onion or garlic, pinch a leaf and see if it has that distinctive smell. You’ll know! If it doesn’t say “ONION!” or “GARLIC!” immediately to the smell centers of your brain, then it isn’t onion or garlic! If it does, then get a sample to take home to ID. It is best if you have the bulb, leaves, and flowers if possible (in fact you will have a difficult time IDing wild onion without a sample of the flowers). If you forage wild onions, make sure you watch out for pesticides and herbicides. If they look skinny and wimbly, then they may not be good for you unless you flush them out by soaking the roots in water for several days. They typically are somewhat droopy in the leaves, but very lush and clustered together, much like Daylilies, but a slightly smaller leaf. I’ll be encouraging my little pot of wild onions to reproduce, and I’ll be on the lookout for other varieties and more wild garlic. I do not know how many years our family participated in the annual Scouting for Food activity in our town, gathering food door to door, taking it to a central location, sorting it, then taking it out to people in need in our town that same day. The last two years we participated in Scouting for Food, we saw the intake decline dramatically. Our seven living children are adults now, and they were raised in circumstances that were extremely modest. We fed any child that walked through the door of our double-wide, who happened to still be there at mealtime, and there were many through the years. We were not the only family in the small town we lived in who would do this. We were just the largest. We took loaves of fresh bread to the neighbors, delivered cinnamon rolls to people around town after baking, and brought cookies to people we knew. Our children raked leaves and shoveled walks for many of the elderly without pay, carried in groceries for them, and helped them with lifting and cleanup. If a neighbor moved in, they ran out to help tote boxes from the truck to the house. It was a way of life, and one I never really considered to be unique, or fading. I can feel the change sweeping over our nation. Especially in the last 10-15 years. Our nation is no longer a nation of givers. It is a nation of takers. Lest anyone be offended, I realize there are people who still give, and generously. I have personally received much from such people. But I also see, as I never have before, that the native generosity of Americans has changed dramatically in the last decade, or little more. Even those who WANT to give, now find it harder and harder to do so. Recently on Facebook, an article circled regarding statements made by foreigners about what surprised them most in America. One of the comments was expressing surprise that so many Americans gave to charities. That stunned them. Most nations are far more socialistic than the US, and the more socialistic a nation becomes, the less the citizens give to charities, or personally to their neighbors. The first thing to go, is personal concern for their neighbors. Then they stop giving to charities. Charitable contributions in the US are now on the decline. For many people, the lack of connection and concern for their neighbors is an outright abdication of responsibility, but for many it isn’t that at all – many of us still WANT to give. Part of it is simply an inability to SEE need anymore. The transients that ask for help in the Wal-Mart driveway are obvious. The homeless people under the bridges and pushing shopping carts are also obvious. But to much of America, those things are NOT visible. The majority of America is made up of smaller towns and rural stretches. And you just do not see those things in rural America, or even in small towns or suburbs. Need is more often private than public. It hides behind the closed doors of homes where only friends and family see. Many people in need now have NO friends or family who ever enter their homes – their friends are all in remote locations. The needs behind those doors are sometimes every bit as dire as the desperate people we pass in the car, whom we feel are NOT our next door neighbors. Our neighbors do not hang their needs in the street or wear them out of doors. The internet has replaced personal contact. The face we show the world online is not the face we look at in the mirror each evening. The lines of care and worry, framed by bottles of prescriptions from serious illness, the clothing that is worn, the background of a home sparsely furnished or too few blankets on the bed, the absence of a coat, or an empty fridge, the heaps of despairing unpaid bills. These things simply are not visible online. To see need, you have to BE there. You have to see what is NOT spoken, and what cannot be broadcast to the world at large. Even caring Christians are simply not THERE where need IS much of the time. We WANT to be involved, to give, to help, to lift up and strengthen. But we are simply not THERE enough to SEE. Life is so busy sometimes, we get stuck in our routine – those routines all vary from person to person, but they contain a common element of focusing on where we are and where we need to be next, and often not seeing beyond that. Sometimes I feel like I am drowning, coming up for air to gasp on Sunday, when I associate with people in my own area, then plunging back under for a week of slog through business and online interaction (necessary for my business). I am as guilty as anyone else of not being THERE during the week, and have had to make a strong effort to just stop and visit one person on the way home each week. I struggle to connect the people in my community with the daily routine apart from Sundays. It makes it difficult for me to see needs – and though my routine is unique, I do not feel that the difficulty in seeing needs IS unique, nor the reasons why it is so hard. For the last three years, we have lived in need. Great need, due to things we did not cause, and which we could not stop, and which by their very nature have been very difficult to overcome. Many hands reached out to help. But many did not. Kind people, who simply never came close enough to us to even SEE that the clothing they were taking to the Salvation Army was needed by someone they knew, or the working toaster they were trying to find a home for would have been welcome in ours. America is more “programs” oriented now than even 10 years ago. When needs present, most people do not open their pockets to help, they refer the people to a program. But programs do not meet the majority of needs. They do not see inside the home, inside the heart, and inside the life of a person in need. They are incapable of perceiving the genuine needs, which are sometimes NOT what a program is designed to meet. Programs, through the government, or charities, are limited, necessarily, by arbitrary rules. They are not designed to see exceptional circumstances, and a massive percentage of people in need ARE exceptions. We were exceptions – deeply in need, no income, no belongings at all, no transportation, no financial reserves. Our need was very real – yet we did not qualify for assistance through the state, through reasons beyond our control. Fortunately, we belong to a church which has a very successful welfare program, and we were able to receive assistance as we worked to get back on our feet. It was only able to meet some of our needs though – important ones, but leaving many things wanting. I am NOT complaining about having needs unmet – we SURVIVED only because we had help. I am merely illustrating how my eyes were opened to the complexity of meeting the needs of disadvantaged people. No program in the world can do it. Because it has to be PERSONAL, and only individuals can be personal. Programs cannot be personal. As I have considered the issue, I have come to the conclusion that there is only one real solution. Those who wish to serve the Lord and be the hands that relieve suffering, feed the hungry, clothe the naked, lift up the infirm and comfort the lonely and grieving, must VISIT people, IN THEIR HOMES – the internet is not enough! They must form bonds of genuine friendship and caring. They must learn to see through the eyes of charity – seeing the limitations in the person, seeing the good in them, and wisely aiding them in ways that help them to be uplifted and made better by the help, not just relieved of a burden temporarily. Help that makes someone better in the long term, and which helps them become less dependent on that assistance, is wrought in the workshop of deeply personal relationships. For us, the needs that were met, were not met by a single person. They were met by many people – a skirt here, shoes there, a computer from someone else. A friend linked our new business website to her websites, and promoted me through her social media network. Two great ladies suggested a place to look for a house when we needed to move. Another friend sold us a used car, for far less than they could have got elsewhere. Two others helped patch a business back together so we again had the ability to build an income. A family member sent money for my husband to buy a bike when we had no car, and another family member stuffed $70 in cash into my hand one day (all the cash she had with her) on an impulse before they got in the car to leave, because she decided that the need she saw from us was greater than hers at the time. Someone else invited us to work for three days at a flower shop, giving us some income to tide us over a rough spot, and introduced us to another individual who helped my husband apply for a VA grant for job retraining – the only program we qualified for! A kind stranger in one town cleaned out her freezer and gave us quite a bit of meat. Several close friends and family members listened to me cry, and encouraged me when things were at their worst. Each person gave a little thing, and the total added up to survival. It had to be personal, in order to even see those things that we needed, and to understand the extent of our needs, and our limitations. I have looked at the world through the eyes of need, more than once. This time has been by far the hardest. At the same time, it has truly deepened my appreciation for those who HAVE sincerely befriended us. Many could offer nothing to help us but prayer, because that is all they had to share. But they did that. I do not know if the tide that seems to be turning America inward can be turned, so that we learn to see outside ourselves again, and to see behind the superficial masks that people wear in casual virtual interactions. I don’t know if that is even the goal. Perhaps the only goal is turning it in OURSELVES. “Heat an entire room for 8 pence a day!” says the title of a video making the rounds on social media. After watching the video, I could already see some problems with this claim. But the heater looked useful, so I decided to try it out, and see what it COULD do. A link to the original blog post with the video that I watched is at the end of this article. The setup consists of a bread pan, two clay pots (one large, one small), and four tealights. The tealights are placed in the bread pan, and lit. The small clay pot is placed upsidedown over the tea lights, balanced on the edges of the bread pan. The larger pot is balanced in the same manner over the top of the first one. The first problem I had, was with the design of the setup. It looked like a fire waiting to happen. Tea lights, in a bread pan, sitting on a magazine. Tea lights get hot when they burn down. Probably not hot enough to light a magazine on fire, but to me, a child raised in a home with wood heat and taught by her father to respect fire, too much of a risk. My setup held only three tealights, not four. It does not significantly change any of the aspects which I am reporting on – I did not try to heat a large space, and the number of candles does not affect any of the other numbers, since I used his original numbers as a baseline. 1. The room the Brit heats in the video is a VERY small room. It is also generally a fairly WARM room. So the amount of heat he required was fairly minor. A toaster oven used to heat his noon meal would have produced sufficient heat for an hour or two in a room that size. Just pointing that out, because “an entire room” in this case, wasn’t much at all. By comparison, we are talking about a bathroom, or a bedroom in a 1970s singlewide trailer (you know, those little bitty bedrooms). 2. He lists the price of tea lights at about 1 pence each. This converts to anywhere between 1 and 2 pennies USD, depending on the exchange rate. This price is found NOWHERE for tea lights. At least, nowhere I can access that actually ends up BEING that low a price by the time the costs are tallied. The lowest I found was 4 cents each. I paid 6 cents each for mine. While this is only pennies we are talking about, the cost doubles, or triples when the actual cost is calculated. That is very significant. His 8 pence a day now becomes 16 or 24 pence – or 32 to 48 cents. 3. He claims that the tealights burn for “about 4 hours”. This, again, is rather an exaggeration. Mine burned for 2 and a half hours. Perhaps tealights are larger in Britain, but I doubt it. Perhaps they are made of a different type of wax – but if it burns longer, it also burns cooler, so there is a trade-off. Since mine burned for just 2 1/2 hours, I have to base my calculations on that. Our costs just increased by 50% again, if we have to do three burns instead of two for the same heat. We are now up to 48 to 72 cents per day. 4. Some people with whom I discussed this suggested that “residual heat” in the clay pots would compensate some for the shorter burn times. The pots cooled fairly quickly, retaining radiant heat for only a short time, and being completely cooled within half an hour. This means that they’d only have useful residual heat for about 20 minutes. For the sake of simplicity, we’ll call the burn and heat time, combined, about 3 hours. We still have to do three burns for anywhere close to 8 hours of heat (based on his original concept of 8 hours equaling a day). 5. Because he only counts a day as 8 hours of heat, you still have 16 hours unaccounted for. To truly heat for a day, you’d have to again triple your cost. This brings the cost of heating a tiny room up to somewhere between $1.44, and $2.16 for an actual full day. Now, I realize people are NOT going to try to use this to heat a home, but we have to calculate it in that manner in order to see how it compares with other heat forms. If you can heat an entire 3 bedroom house for about $200 a month, in SEVERE cold (yes, we did so in Wyoming – an 1800 sq foot home), then it works out to about $6.66 per day to heat the whole house. The room in the video was about 8X12 ft, so that works out to about $.36 per day to heat that space using gas or electric, for a full 24 hour time period. Here, in the south where we live now, it is half that amount. For any amount of real heating, the tealight heater is simply NOT economical. I point that out, because his main claim is that it is cheap heat. It is not. It is actually very expensive heat. So is this little thing good for anything? Turns out, that when you take it for what it IS, and not for what it is NOT, it is actually good for something! 1. Spot heating. When you need a little extra heat in a single area, for a short period of time – this kind of heating is ALWAYS more costly than whole house heat, on a square foot basis. What makes it economical is being able to heat just a single small area rather than having to increase the heat throughout the house. I am using mine to rapid-cure silicone. 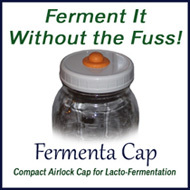 In the summer, our silicone for our Fermenta Cap products cures in about 4-5 hours. In the winter, even with the heat on in the house, it can take 24 hours, sometimes more, to cure. This slows our production to the point of getting us seriously behind in order fulfillment. I can pour my silicone, light three tealights in the burner, and walk away – the heater is safe to leave unattended as long as there are no pets or children in the room (my heater is also safe ONLY because I have tested it and know it to be safe). The burner puts out just enough extra heat in that one small area, to cure my silicone within 4-6 hours. MUCH faster. That is worth 18 cents per day to me! If I need to leave the house, and the burner has only been lit a while, I can blow it out, and place the clay pots over the tops of the silicone molds, where the residual heat works on them, safely, while I’m gone. This has been a benefit to us, and a good method of heating this tiny area. 2. A cozy alternative to a fireplace. The warmth of an open flame just has more romantic appeal on a cold winter evening. A candle powered heater, and a warm mug of hot chocolate, and a good story to read with the family could make any evening special. 3. Emergency heat. It is likely that the heater would get hot enough on top to at least heat water, and in an emergency, a little heat is better than none. Because it is off-grid heat, all you need is to be sure you have SOME ventilation if you light more than one, and be sure you have matches on hand. There are some safety issues if you decide to experiment with this type of heater. The issue with heat from the bottom is only one potential issue. Since this is an open flame, standard cautions regarding candles and fires apply. 1. When you have tealights concentrated together, they create more heat than a single candle. The wax in each tin will quickly reach the melting point all the way through, since you have a covering over the lights that make the candles heat up more. Liquid wax tends to wick out over the edges of the tin, so that whatever surface you have them on can become covered in a thin film of melted wax. Under the right (or wrong) conditions, this can be a fire hazard. Make sure that you have them in a fire proof dish or container, and that the bottom is insulated from heat build-up so it does not overheat the surface the assembly is sitting on. 2. The clay pots need to be placed over the candles, at a great enough height to avoid a flash fire on the surface of the candles. Since the wax becomes liquid fairly rapidly, a build-up of heat on the surface of the tealights can cause the entire surface to ignite – this only happens when there is sufficient heat to maintain the fire without needing a wick. If this happens, you’ll hear the sound of the flames (a quiet roaring), and black smoke will billow out of the hole in the pots, and around the edges. If wax has wicked out onto other surfaces (which often happens), it is a major fire hazard, PLUS it produces so much smoke that the smoke alone could be deadly. The fire is also very difficult to put out – you’ll need to find a way to smother all of the candles at once or they’ll re-ignite. To avoid a surface flash fire, make sure the inner pot is at least 2″ above the surface of the candles. Depending on how you have your larger pot set up, it may need to be more. Also make sure that you have not closed off the sides around the candles in a way that concentrates heat back into the center of the candle group – give it a place to radiate OUT, as well as UP. Test the setup thoroughly before leaving it unattended, and test it again if you make any modifications, no matter how small. It is probable that the original setup with the tealights in a bread pan is also at risk for flash fires, and that what looks like a simple setup may not be so simple. Variations in the size or shape of the pan can make what is safe for one person, very unsafe for another. Test carefully, and be prepared to put out a surface fire if needed – a second bread pan to turn upside-down over the top of the first one would work well to put out the candles, or you could use a cooking pot, by using the flat bottom to smother the candles if they are in a different arrangement. 3. To generate additional heat, some people close the hole in the smaller pot. If you do so, make sure that whatever you use to close or block the hole can withstand very high heat. The greatest heat build-up is right at the top of that smallest pot, and it can be far hotter than you think. 4. Make sure you have hot mitts close by, in case you need to blow out the heater. You have to remove the pots – you’ll need a safe place to set them also. Think about this BEFORE you have to do it, and things go more smoothly. 5. Keep it away from kids and pets. This thing gets HOT on the surface. It is designed to trap and radiate heat, and it does just that. It will get blisteringly hot on the surface of those pots. If you don’t like such risks in your home, don’t use this kind of heater. My conclusion is that the video circulating is inaccurate, and even somewhat careless in how it presents the options for this type of heater. But I also feel that it CAN be useful, if you understand what you are dealing with, and the actual potentials for use. I will be assembling some of these, and testing various setups, so I can include a few in my emergency supplies. I think they CAN be a help in a power outage, and in some other unique situations. We are conditioned to think that sour milk is a harmful thing. If you are talking about pasteurized milk, it can be. Sour pasteurized milk can have some really nasty opportunistic pathogens in it. Raw milk, on the other hand, is a different thing entirely. When it sours, it develops a wide range of microbial growth, including many helpful probiotics. It DOES contain some bacteria and fungi that would be considered to be harmful pathogens when in higher concentrations, but they are balanced and neutralized by the much more plentiful helpful microbes. So why is pasteurized milk so risky when it is soured? If you kill all the good bacteria and yeasts, then the milk is completely lifeless – for all of about half a millisecond, until it comes in contact with air again (or the inside of a milk jug, sterilized or not, or equipment, etc). It becomes a fertile environment that happily cultures any opportunistic bacteria or fungi that come along – the fast growing nasties are able to thrive, breed, and multiply without restraint. There are no natural inhibiting “enemy” or “competitor” strains to slow it down or to mitigate the effect. The ones that grow fast are likely to be fairly harmful, and they are likely to grow in very high concentrations. The fact that commercial pasteurized dairy products are stored for long periods of time in production, transit, and then on the grocery store shelves means that there is ample time for them to grow to very high levels. Levels NOT seen in fresh raw milk. Raw milk, on the other hand, is chock full of a full complement of bacteria and fungi. If you leave it out at room temperature without ever putting it in the fridge, it will develop into buttermilk. Buttermilk is just old fashioned “sour milk” which old recipes call for (they are not asking for that nasty stuff that pasteurized milk turns into when it gets too old). Note: Buttermilk is just raw milk left out to sour. The cream rises and firms up, which makes it easier to skim. The milk left behind was “buttermilk”. The cream was then churned into cultured butter, and the milk from around the butter was poured off and added back into the buttermilk. Just so we understand why sour milk was called Buttermilk. Refrigeration does affect it some. It will develop a different complement of microbes at higher temperatures than it does at low temperatures, but they are generally equally healthy. So, when your raw milk turns a little off, what can you do with it? Turns out you have a lot of options! NOTE: It is still healthy enough to drink. You can drink it as long as you do not mind the flavor. There is no need to worry that you have to “catch” it before it goes the least bit off to save your kids from being harmed, or to avoid ingesting something dangerous. It is just milk, with a little more probiotic benefit. Make Biscuits. Southern buttermilk biscuits are a natural for sour raw milk, and so are buttermilk pancakes. You can omit the Baking Powder and use 1/3 that amount of baking soda which will react with the sour milk. You can also use it in any other recipe calling for milk, depending on how far off the flavor is, including things such as custards, milk gravies, and even home made macaroni and cheese or alfredo sauce. All of these cooked options will kill both the beneficial and harmful bacteria and fungi. Make Smoothies. If you usually use yogurt or kefir in smoothies, sour raw milk is a good substitute. Bet nobody even notices! Microbes are kept intact. Make Cheese. Let it sour a bit more, out at room temp for a day or so. Dump it in a pot, and heat until curds form and separate – to the point where you cannot touch the side of the pot at the level of the milk without it stinging. Strain, and either use as fresh cheese or press to make a hard cheese. You can also substitute it in any cheese recipe for buttermilk. Cooked cheeses result in a pasteurized product. You can also simply strain it without cooking if it has curdled, and use it as a soft cheese. It will be VERY full of microbes. Pasteurize it and make yogurt or kefir from it. You CAN do either one without doing so – they are, after all, just variations on sour milk! This process kills anything that might be lurking in your milk, and replaces the microbial assortment with a cultured assortment (which isn’t that different in kefir than it is in ordinary sour raw milk, by the way!). There does come a point where it is too far gone – but that is quite a bit further along than most people think! Milk that should NOT be used will be discolored (more than just a little yellowing), it will have mold on it, or a very unpleasant smell. You won’t generally mistake if it is too far gone. Sour milk is actually one of the benefits of using raw milk. Our ancestors knew this, and had uses for fresh sweet milk, and uses for aged sour milk. The more I use it, the braver I get. I started with just using it in baked goods and cheeses, but we now use it in many other ways. My favorite is probably smoothies – my probiotic smoothies have single-handedly healed a number of annoying health issues for me. NOTE: Because of the rabid “sterilize everything” Nazis, and various government entities which subscribe to the theory that killing everything must be better than retaining any kind of natural balance, I am compelled to leave a disclaimer. This is my opinion. It is based on broad research and experience, but it is still my personal view, provided for informational or entertainment purposes (making buttermilk biscuits is great fun). Use it as you see fit AT YOUR OWN RISK. I am not recommending this to heal or treat any disease, and am not a medical professional, nor a health or nutritional professional. Is there a limit to what a sole proprietor can earn through cottage industry? Can a cottage product or service business realize the potential of unlimited earnings? Firelight Heritage Farm is launching a new service which answers these questions, and which offers a full range of services to guide businesses, large or small, through the process of starting or converting to a home based business. This can be done with many types of businesses – a good number of them are businesses which people do not think CAN be converted to home based. They can be operated in the home, on the farm, or in a shop at home. It offers so many financial benefits, in reducing operational costs, keeping profits with the manufacturer instead of being spread across a supply and distribution chain, and of reducing regulatory and tax burdens to the least possible requirements. It makes possible Point of Production Distribution, which increases profits dramatically. And business does not get greener than this! Equipment is small and energy efficient, factories are eliminated, transport pollution is dramatically reduced, and each producer is free to act on their own convictions for stewardship of our environment instead of being bound by the rules of an employer. In case you don’t realize, Firelight Heritage Farm is owned by the Frumpy Haus Frau herself, Laura, and her husband, Kevin. We developed a business model for cottage industry, including cottage manufacturing, which allows almost unlimited growth and income potentials, with NO employees. The model includes methods and policies for expanding through a network of subcontractors, and includes logical process controls and a range of choices for controls over proprietary information or designs. Our business experience has been varied, and broad, and has developed over the course of almost thirty years. This line of services brings together all of that experience to provide a service for anyone from a work at home mom or dad, to a corporation needing to find affordable and sustainable ways to grow in a challenging economy. We will also be offering a full range of product potential assessment, product development, manufacturing process development, instructional literature writing, and marketing and small business consulting services. Cottage industries can be reproduced in a way that looks similar to, but is distinctly different than the Direct Sales or Multi-Level Marketing model, and we will be able to guide business owners through the creation of a sustainable multi-business expansion. If cottage industry is in your future, chances are, you don’t know what you don’t know! Cottage industry is as old as the earth, but must be adapted to our contemporary world. We will be launching a new website in a few days which will feature the services available for starting a cottage industry, growing a cottage industry, creating and selling cottage industry packages, and for converting a corporation to a subcontractor based cottage industry. Cottage industry is the answer for the future. Check out our new Cottage Industry Consulting and Development services at CottageIndustrialRevolution.com. It was the color of daffodils. Cream the color of most butter, skimmed off the top 2 inches of the jar, put into a smaller jar, and shaken by hand for about 20 minutes while we chatted and watched a video, produced butter of a strong yellow color, the exact shade of spring daffodils and buttercups (there’s a reason they called them “buttercups”). The color you never see in grocery stores, except from egg yolks. Butter is easy to make, and there are several ways, from low tech, to mechanized. Shaking it in a jar is one of the traditional methods. As a child, we made it in a Kitchenaid Mixer. You can also use a hand mixer, or food processor. Cream from milk from any animal works to make butter. It is made around the world from cow, goat, sheep, even horse, camel, and llama milk. There are probably a few other oddball animals in there somewhere too. When milk is let set, the cream rises to the top. At least it does with some kinds of milk, like cow’s milk. Other types, like goat and sheep milk, are naturally homogenized, and the cream stays more suspended in the milk, with just a thin layer separating (a cream separator can pull out a large amount though, and goat and sheep milk often have very high butterfat in spite of appearances). The cream can range in color from pure white, to a soft yellow. The color depends a lot on the breed of animal, and the diet of the animal. The resulting butter can also range in color, from pure white, all the way through a very intense yellow. Cream is skimmed off the top, usually using a spoon or a flatish ladle (we have a deep gravy ladle that works nicely). You can’t really get it all without a cream separator, but that’s ok. Leaving a little cream in your milk is a good thing. The cream is then put into whatever contraption you use to make butter – a jar, a butter churn, or the bowl of your particular appliance. According to some sources, the naturally homogenized milk types work best if the cream is shaken, not beaten to make butter. The goal is to stir or shake it until the butterfat clumps together. This means you spend 95% of the time just stirring, shaking, or beating the cream. Make sure you allow it a generous sized bowl, or a jar that is only half full, because it will generally expand in volume during the process. It will then reduce in volume and suddenly clump together into visible lumps of butter. Beat it a bit more, and it will clump mostly into a single mass. Be aware that if you are doing this with an open bowl and a mixer of some kind, it will probably start to splash wildly when it turns. Pour off the milk (it is just skimmed milk, nothing special about it unless you cultured it first). You can stir the milk back into the rest of your regular milk if you want. Now, what you have is butter, with lots of little bubbles filled with milk. If you want the butter to keep well (or to keep out of the fridge), you need to get that milk out of it. The butter may be VERY soft by now – especially in warm weather. You may need to pop it in the fridge for a bit before proceeding. When it is cold enough to work without sticking too much to the spoon or paddle, go forward. Use a butter paddle, or the back of a spoon, press down on the butter to squeeze out milk drops. Periodically rinse it under cold water – you can keep it under the cold water stream if it is cold enough to chill the butter, but if you live where your cold water warms up in the summer time, you will need to just rinse periodically. Keep pressing the butter and working it to get the milk out, until it doesn’t come out white anymore. Then remove it from the water, and press the water drops out. Add salt if you want salted butter, and work the salt through it. Since you are never going to be exactly certain how much butter you have, you really have to salt to taste every time. Once the salt is blended in, you can put it into a butter pot, or mold it, chill it, and then remove it from the mold. So what about that Buttermilk stuff? Why does buttermilk taste like sour cottage cheese if it is just milk that has had the fat removed? Well, cream is actually easier to skim off the top of cultured milk. By “cultured” we mean fresh raw milk (not more than 24 to 48 hours old if it has been refrigerated, after that the microbe balance can be off), which has been left at room temperature to “sour”. You know those old recipes that call for Sour Milk? They aren’t talking about that nasty stuff that you get when your pasteurized milk stays out too long, or is too long in the fridge. No, they aren’t talking about that AT ALL. Pasteurized milk goes nasty because all the healthy and friendly bacteria have been killed in the heat processes. So it is just wide open for contamination by opportunistic nasties. Fresh raw milk though, has a complement of healthy bacteria, and when left out of the fridge for 1-3 days, will sour in a pleasant way – more like cottage cheese in smell and flavor. It will sour and thicken within about 24 hours, and that is when you want to skim the cream for butter. After a couple of days, it will start to separate, with curds on top, and whey on the bottom. At that point, it is really good for making no-rennet cheese. When you culture the milk first, you end up with classic buttermilk, and cultured butter. In other words, expensive butter. Now, you CAN make butter from cream that you buy at the store. Put it into a container so that the container is only halfway full, cap it tightly, and shake it if you don’t have any equipment to process it in another way. You’ll end up with fairly white butter. It will still taste like butter. Making butter is one of those old skills that is so simple, that pretty much anyone can try it. It is fun, and gives you the feeling of experiencing a little history if you are not the kind of person that is into adopting it as part of a lifestyle. Personally, I really like knowing what is in my food and where it came from, so making butter is just part of the whole package. And making butter leads naturally to making a loaf of homemade bread. Because there is nothing better than fresh, warm bread, and homemade butter! 1. A can of corn, a can of green beans, and a can of peas, or perhaps the frozen versions of them. 2. A head of iceberg lettuce (or Romaine if they are particularly adventurous), a bag of carrots, and a bag of celery. Perhaps a head of broccoli. If asked to get fruit, they would return with canned peaches and pears, or with a bag of apples, oranges, or a bunch of bananas. Meats consist of beef, chicken, and pork, and seafood is a limited range of fish and shrimp. These are the foods that commercial agriculture has determined that we need to have in abundance on our grocery store shelves, so we are conditioned to think of them as being the only things available. Sure, you think of onions, parsley, cabbage, or other similar foods that are also available, but this is still an EXTREMELY limited range! The other day I saw a post on “What to do with the strange vegetables that come in your CSA box”. Those “strange vegetables” aren’t really strange at all! They are traditional herbs and vegetables that have been served up on the tables in regions around the world since time immemorial. While there is some difference in regional availability of some items, our stores do not carry the wide wealth of cultural heritage that our ancestors knew. Since the industrialization of food, so many foods have disappeared from the collective memory. Does anyone else remember eating ground cherries? I still remember the flavor. So completely unique there has been nothing else that even compares. I remember huckleberry jam. Eating smelt, fried in cornmeal. Parsnips in the soup. And the flavor of Jerusalem Artichokes – another unforgettably distinctive flavor that I can recall to mind even though I’ve not had them for more than 30 years. Now, in a completely different cultural region from where I grew up, I am finding that the grocery store is pretty much the same here as anywhere else. But the garden potential is not! Strangely, the gardens here tend to grow the same things as gardens elsewhere, even though there are many plants that grow here, exceptionally well, and produce better. Again, industrial agriculture has sanitized the individuality from the seed catalogs – that is, until recently. Within the last 10 years, the availability of regional foods is once again being promoted in seed catalogs, and there is an absolute wealth of foods which your grocer never heard of! One of the great strengths of eating local is that some local farms are now returning to providing a wider variety of regionally appropriate foods. This means farmer’s markets, CSAs, co-ops, and on-farm purchasing provide access to some pretty amazing stuff. We’ve also been conditioned to think of many things as “weeds”, when in times past, they were valuable forage crops for people. Some of them come up and produce long before your garden is ready to hand you a salad. Chickweed is a great example. It makes a very nice salad, grows prolifically, produces very early in the spring (often coming up before the snow is completely gone), and insists on growing whether you want it to or not. It is healthy and delicious. Instead of trying to exterminate it (this is the commercial ag solution – which feeds the coffers of the chemical companies, and makes you buy vegetables instead of eating the chickweed), we should be eating it! There are no problem weeds if we are eating them! And a surprising number of the most pernicious weeds are edible! Locally, you may also be able to find duck, rabbit, pigeon, crawdad, freshwater shrimp, and other meats that you would not find in the grocery store. You may find grass-fed liver, marrow bones, and other good foods. Look beyond the blinders of the grocery store food supply. Consider food in a new way. 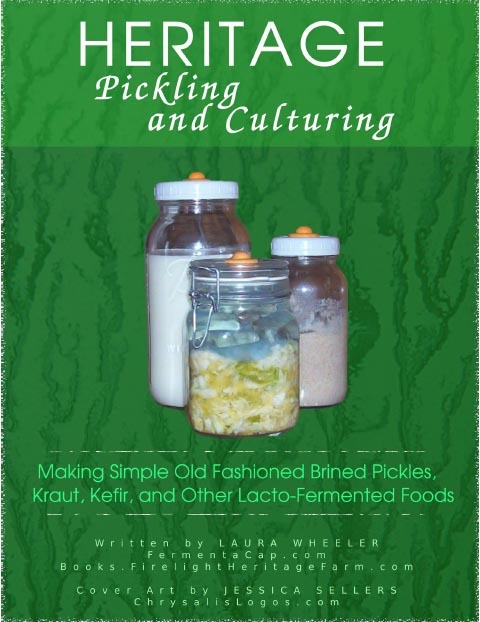 Look for sources for the old and traditional foods. Many of them provide the health benefits to compensate for the modern life, and hold the keys to preventing avoidable diseases. You don’t have to use them medicinally – you just have to eat a wider variety of foods! Conditioning is a powerful thing, but breaking out of it is a wonderfully liberating feeling. We are told over and over that industrial agriculture is the key to “cheap food”, but in fact, opening our eyes and seeing what is already here, free, and discovering the things that grow best in our area with the least effort is the real key to affordable food. Small local farms, and backyard gardens can achieve this far better than large and impersonal “rule by popularity” industrial farms. Take a look around, and see what you can find that you didn’t see before. Give it a try. There’s some amazing stuff out there, right in plain sight! Honeybees are under attack, suffering from something which scientists have labeled as “Colony Collapse Disorder”, where entire colonies of bees die off en-masse. Commercial apiaries may have many hives collapse one after another. The seriousness of this trend cannot be underestimated. The honeybee is under threat of extinction, and the situation worsens daily. Some farmers in China are already having to hand-pollinate crops. If even ONE farmer in the world has to hand-pollinate seasonal crops which are out of doors, there is something very wrong. While there are other pollinators for most crops, honeybees are vital to sustaining the perpetuation of many food crops. It appears that the bees are thin our region as well. Plants that should be dropping blossoms as they are pollinated are still filled with blossoms that have been open for more than a week. We are concerned as to whether we will have some kinds of crops this year. It is logical to assume that both Pesticides, and GMO foods are at the heart of this situation. Pesticide use has consistently increased in the last 5 decades, and especially in the last two, as insecticide resistant insects have developed. Pesticides are not only used on commercial crops, but on lawns, landscaping, and some are sprayed both from the street and from the air, over many cities, to control mosquitoes. 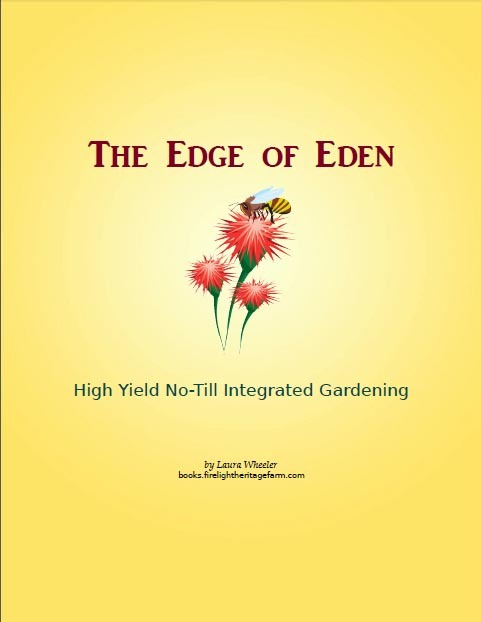 While a pesticide may be more or less effective on various insect types, they are harmful to all, and long term damage builds with each exposure. GMO crops with BT genes are toxic to many insects. It is logical to assume that their pollen would also carry this toxicity, as would nectar from those plants. In addition to direct harm, insect resistant GMO crops create another round of insecticide resistant insects, which increases the problems with ever heavier applications of pesticides. It is probable that herbicides play a role in the demise of bees, as well, because while herbicides are not specifically targeted to bees, they are poisons which target many plants upon which bees depend – many of which are considered to be weeds by the commercial food production industries. More than that though… Commercial beekeepers are greedy. Whereas most home beekeepers are careful to ensure that the bees have sufficient honey to last through the winter, commercial beekeepers supplement more – they rob more honey, and feed more sugar syrup to offset the extra honey they’ve taken. Sugar syrups cost less than the honey they lose if the bees feed themselves – and when feed for the bees is supplemented, they will both feed from it, AND make honey from it. So most commercial honey is NOT just the concentrated nectar of flowers and plants. It is substantially inflated with concentrated sugar syrup – to be exact, CORN syrup. Corn syrup is the most commonly used supplemental feed for bees. And the most heavily BT GMO contaminated crop, is CORN. Feeding bees corn syrup that is contaminated with BT genes is tantamount to feeding them slow poison, and it contaminates their current food source, and is then concentrated as honey, and provides a concentrated contaminated food for later use. It is important to point out, that corn syrup in and of itself is NOT necessarily a threat to bees. It is fairly certain that it is only the BT Genetic Corn, and syrup made from THAT which would pose the greatest risks. Pesticide and herbicide residues in nectar, GMO contamination of nectar and corn syrup, result in heavy contamination of the natural and supplemental food of bees. When bees make honey, those contaminants are concentrated into their winter food. So when bees are feeding on honey, they are feeding on concentrated poisons. I believe the salvation of the honeybee is not in the commercial beekeeping arena. I believe it is in the arena of the backyard beekeeper. Backyard beekeepers are more solicitous of the wellbeing of their bees, and do not typically over-rob. They feed on average far less supplemental syrup than commercial beekeepers do, and home beekeepers are fairly UNLIKELY to use corn syrup. This eliminates one major risk right off the bat. Commercial bees are also the most vulnerable to being wiped out by pesticides or GMO crop exposure due to mass exposure, because commercial bees are typically placed near crops in need of pollination – usually near a substantial acreage. A commercial honey producer wants to drop many hives at a single drop point – he does not want to have to put one here, and one there, to get sufficient crop exposure to feed the bees. Therefore, commercially owned bees tend to feed on large scale commercial ag crops. There is a high likelihood that an entire hive of worker bees, and an entire season’s production of honey, would be seriously poisoned. The backyard beekeeper though, has bees that get a wider range of exposure, and the chance that the entire working element of the hive will be exposed to a large expanse of GMO crops, or heavily pesticided vegetation is lower. Each bee is more likely to run a gamut of exposures – with at least some of their forage being fairly clean. The hive as a whole will do the same – while SOME of the bees may die from exposure, the entire hive will not. While SOME of the honey may be contaminated, all of it will not. Bees kept in backyards, where they are not exposed to disease from large masses of bees are also less vulnerable to other threats that can wipe out a hive. Careless beehive inspectors from government control agencies pose one of the largest threats to the health of backyard hives – because they inspect both commercial and backyard hive systems, and have, in numerous instances, spread disease from one to the other. The future of the honeybee is currently threatened by careless agricultural practices. Keeping bees in your backyard is one way to be part of the solution to keeping our valuable agricultural partners working and thriving in the future. We can’t control what big ag does. We can sometimes influence it, with a lot of effort, but usually our ability to do so is extremely limited. By taking a little piece of responsibility for one colony of bees though, we can make a difference to our own community, and protect that one little piece. Many towns are now allowing beekeeping within city limits. Check with your town and see if you are one of the lucky ones. If so, invest in a top bar hive (there are several types) and a colony of bees, and begin a new adventure in helping to save the honeybee. There is much more than honey at stake.